How do I get access to the goodies discounts? Our goodies are available to you when you sign up. In your profile, on the left tab, you have access to your goodie bag. It's a mix of discount codes, unique codes and links where you can claim your discount. If you have a problem with accessing our promotions, contact us. For whom is this website intended? Do I need to be a programmer? Absolutely not! DataJournalism.com is for everyone, beginner to advanced, who has an interest in data journalism. 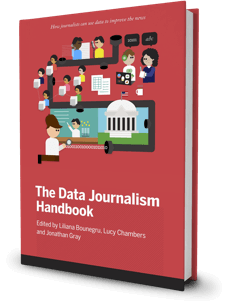 Some of our resources are tailored for those of you just getting started, like our video course Doing Journalism with Data: First Steps, Skills and Tools, while others are for more advanced audiences. And don’t forget that you can ask questions about all aspects of the field in our forums. Is everything really free here? Yes. All of our content and courses are free to access. 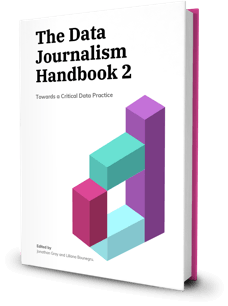 To enrol in the [courses](https://www.datajournalism.com/ or post in our community forums you will need to sign in, but that’s also completely free. Why do I have to login to see some parts of the website? Put simply: we want to offer you a better experience. When you’re logged in, we’re able to help you track your progress through course and suggest content based on your interests. Do you give out grants for data journalism projects? No. However, the European Journalism Centre promotes journalism grants that include data journalism projects. You can have a look at www.journalismgrants.org. Or, start a discussion in our forums about funding opportunities for data journalism projects. I’d like to have a public profile page, how can I get one? At the moment, only authors and contributors can have a public profile page. But don’t worry, there are many ways to contribute content, like submitting advice to our Conversations with Data newsletter, or pitching an article to our Editor. I have a job ad to post, where can I do this? You can post any job ad on our community forums. Is this website suitable for students, universities or schools? Yes! At DataJournalism.com, our focus is on learning. That means that everything we produce aims to help you learn a new skill, or advance an existing one. We strongly encourage universities and schools to use our resources in their courses. Students might also find our forums section useful to ask the community questions when they get stuck or career advice. We can also set up private sections (Clubs) for your institution, email us at suggestions@datajournalism.com for more information. How does the editorial process work? Our Editor works closely with experts to produce Long Reads that will help you learn something new about data journalism. From data visualisation, to new areas of reporting, data ethics, and everything in between, we want to make sure that you’re covered. If you have a pitch for a new article, or there’s something else you’d like to learn about, please reach out at contribute@datajournalism.com.